If you think it’s only humans who need to rest their weary heads when they’re on the road, then you’re barking up the wrong tree. 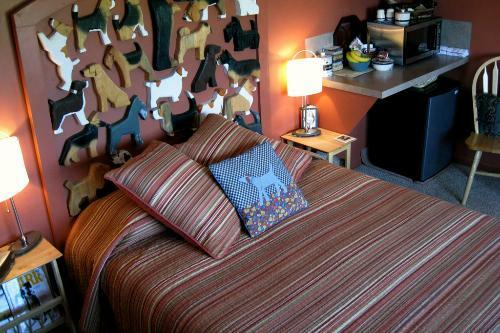 Welcome to the Dog Park Inn Bed and Breakfast in Cottonwood Idaho, USA. 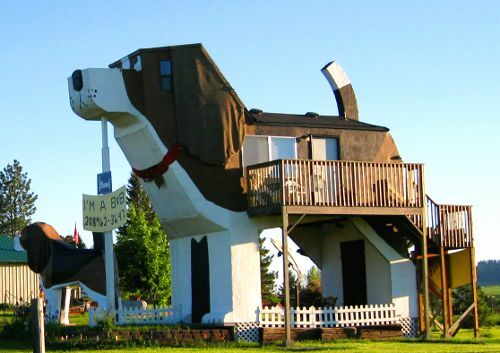 Built and opened in 2003, Sweet Willy, as the locals call it, is a road stop for man and dog – where you and your canine pet can sleep inside the World’s Biggest Beagle. They say you should let sleeping dogs lie – and here pooch can either bunk with mom and pop, or head up their very own stairway to heaven to a special doggy bedroom in the muzzle of the huge dog. Here, your canine can rest up, enjoying special books and games, while chewing on a complementary doggy biscuit. At Sweet Willy they clearly believe that you should give a dog a bone and a home. 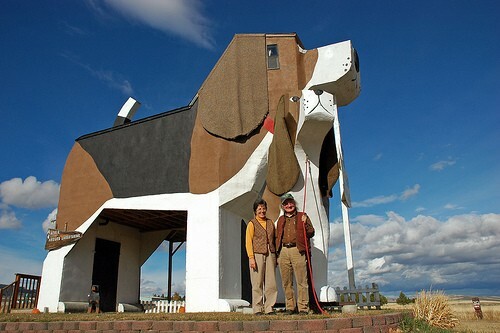 Built by artist couple Dennis and Frances this weird hotel was inspired by a type of roadside architecture popular in the early days of cars when drivers would be enticed to buy gas, eat meals or stay overnight in unusual looking buildings such a coffee pot gas stations or a milk bottle shaped restaurants. Stays at this bizarre hotel start from $92 a night.